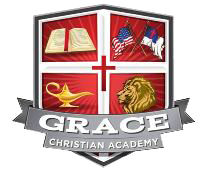 Thank you for your interest in Grace Christian Academy. All applicants (K-12th) must be approved by Administration prior to being accepted into the academy and must pay a one-time, non-refundable $15 application fee at the time application is made. Our office will contact you once your application has been reviewed. If you have any questions, don’t hesitate to contact us at 904-266-9532 or by email at gcaoffice@gcabaldwin.org. This link will take you to our online application page. Please be sure to contact the office to make us aware of your interest either by phone (904-266-9532) or email (gcaoffice@gcabaldwin.org) and to inform us of your payment method (scholarship, cash, etc.). This link will take you to our online application page. Please enter the necessary information, and submit when you are ready. You will also need one additional document - a certificate from the Early Learning Coalition (ELC). Duval County - Please go here to request the required certificate. For those who will be paying for fees via a scholarship, please also provide proof that your child has been awarded the scholarship. For Step Up for Students, it would be the "award letter". This can be submitted electronically to us (gcaoffice@gcabaldwin.org) or in person. Students entering the 7th grade are required to have an updated immunization record and school physical. Please bring these to the office for us to copy. Sports physicals - please have these done and a copy for the school no later than 8/10/18 (applies only to students playing a sport). Students may not go to practice or games until a sports physical is received in the office. See more information here. School supply lists can be found here. Tuesday is chapel day. Please send your child to school in chapel attire.